LEPTO, LYME, RABIES: CALL YOUR SHOT, SAVE A LIFE! Call Your Shot, SAVE A LIFE! The risks and politics of repeated vaccinations, immune system damage, autism and Vaccine Induced Disease (VID) are obvious: over-vaccination kills our pets and makes children sick! Did you know that over-vaccination that can destroy the immune system and do neurological damage including sudden aggression (dogs) and autism in children? And did you know that the incidence of vaccine-related Anaphylaxis or Anaphylactic Shock (1) rose dramatically in 2017? Go with me behind the curtain of time and secrecy. Did you know that Lyme disease evolved from an "unheard of" disease for which there was an immediate vaccine? It's almost as if the drug company developed the shot knowing Lyme Disease would become a problem. One has to wonder where all the new vaccinatable diseases come from? Do new viral epidemics exist as anything other than a line on a financial graph? Most physicians and veterinarians are unwilling to candidly discuss these issues. One does not bite the hand that feeds it. Thankfully there have been exceptions and I keep hard copy files such as the entire transcript of round table discussion featured in the December 1988 issue of DVM magazine. Here are quotes from some of the attendees. Top veterinary educators included Dr. Jonas Salk whose biological research resulted in the polio vaccine. Dr. Sall reminds us "to be altogether pragmatic when the disease is of far greater risk than the methods that are employed in their control." Dr. Swango (Auburn University Assoc. Professor of Virology, specializing in canine virus diseases) said "even in 6 to 8 weeks old puppies, the distemper vaccine may occasionally induce disease." Dr. Swango also makes a mind-stopping statement. "There is a difference between vaccination and immunization." i.e. vaccination doesn't guarantee immunity. Dr. Tizard (Professor of Microbiology and Parasitology, TX A&M) acknowledged "There is a problem of vaccine-associated disease that cannot be avoided." Today puppies (and children!) are more at risk from the plethora of vaccines than from diseases. Let's take for example rabies. Rabies is transmitted through a bite, therefore the risk of contracting rabies is far less than the probability of ii vaccine-induced reactions or disease. Today veterinarians who never see a case of rabies treat rabies vaccine induced tumors. The implication is staggering. Killed or modified live vaccine? Dr. Jonas Salk emphatically stated "with the killed virus vaccine we can eliminate the disease altogether, both vaccine-induced and naturally-occurring." In Call Your Shot: Genetics, we looked at the effect of vaccines on the immune system and the increase in immune related diseases in the decade from 1991 - 2001. Vaccines are meant to challenge the immune system. The body defeats the weak form of the virus and therefore is primed and ready to kill the more virulent bug should it ever try to invade. Works great. Except when we OVER challenge the immune system. That's when people and their pets become "allergic" and susceptible to puny bugs that a strong immune system would have shrugged off. If we keep pecking away at the body's defense system with this shot and that, with "medicines" which are proven to weaken the immune system; sooner or later, that defense will crumble. YOU call the shot. We humans only get "puppy shots." I don't know anyone who gets yearly boosters for polio, whooping cough, measles, etc. Do you? Then why do our dogs need yearly shots? The body keeps tabs on what virus its already defeated and a healthy immune system is able to ward off a subsequent attack from the same virus. Furthermore, if we accept Dr. Salk's words on herd immunization, a healthy dog is constantly accumulating new immunities from vaccinated dogs. Puppy Shots, Booster Shots, Rabies Shots! We start our puppies out with big-time challenges to their UNDEVELOPED system and we keep at it and keep at it until they are at least 16 weeks old - or dead from the parvo or corona virus they shouldn't have caught because they were innoculated, right? If they break with disease, we're told it was because of that "window" between maternal antibodies and the first shots. What we are not told is the truth - the vaccines weakened and finally overwhelmed the pup's immature immune system. The lapse between maternal immunity and vaccine-conferred immunity may exist but so does the reality of vaccine-induced disease. OK, so about six months after the rabies vaccine, we assault puppies all over again with boosters and probably get them up the nose while we're at it. By now they're wearing flea collars or are being dipped and dusted, and of course, the juvenile dog is also on heartworm prevention poison. Hopefully your state will let the dog recover for four years before blasting him with yet another rabies booster. By the way, who decides that dogs in some states must be "challenged" every year with rabies vaccine whereas dogs in other states are immune for up to four years? The science doesn't change so it must depend on which state Veterinary Association member sits on the State Legislative board. By their second year, an estimated 50% of "cared for" dogs develop immune or thyroid problems. Many are treated as "allergies" and as such, the dog receives steroids, medications specifically designed to SUPPRESS the immune system!! Hard to believe isn't it? 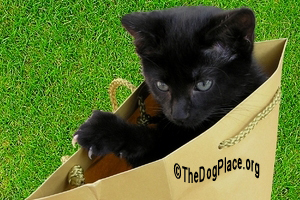 Strays escape the onslaught of care most of us heap upon our dogs and notably, their immune systems are strong. Of course, those of us who notice that interesting fact are just asking to be blamed for "inbreeding" our dogs and harming their immune systems. It is always the dog breeder who is at fault! DVM magazine, June 1991, carried an interesting article by Priscilla Stockner, DVM. She detailed case histories of immune-mediated orthopedic disease which occurred following modified-live vaccine administration in Great Danes. The vaccine reactions included inability to rise, pain, joint stiffness, high temps, and thyroid malfunctions. Other case histories mention Lyme Disease Vaccine and sudden aggression as frequently linked. Now if Dr. Blank vaccinates Mrs. Smith's lap dog and Poopsie gets "sick" and then becomes "nasty" and "unpredictable", the veterinarian is likely to think the problem is in Mrs. Smith's mind. 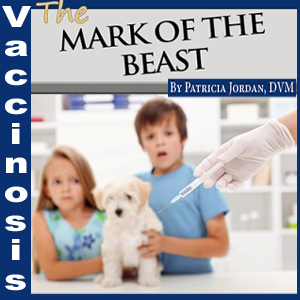 If the family dog attacks a child, the horror of the incident overrides the likelihood of a connection to recent booster shots, in particular Lyme vaccine which "attacks neurological & immune systems", according to Patricia Jordan, DVM. I'm not suggesting that we write bad temperament off to "shots." On the other hand, when we encounter sudden and inexplicable behavioral changes, the first person we should turn to is a well informed veterinarian. Trainers and behavioral counselors please note this description of severe reactions to canine distemper virus. JAVMA vol 196, No. 11, June 1, 1990 pg 1852 reports "Development of nervous system lesions was reflected by observation of signs of aggression, which eventually progressed to in-coordination, prostration, convulsions, and death." The signs may be less pronounced but still dangerous if one is dealing with a large breed. There have been similar cases of post-vaccination aggression associated with Lyme vaccine. "Symptoms usually begin with lameness, limb paralysis, and may include nervousness, phobias, and even radical aggression." Dr. Jean Dodds, DVM (NY State Dept. 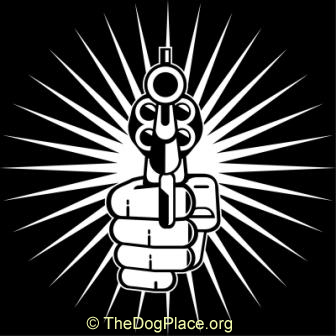 Of Health) reports in a paper on Reactions to Vaccines And Drugs, "Parallel bone marrow failure, immunosuppression, and immune-mediated hematologic disease have been recognized since the late 1970's in dogs exposed to canine parvo virus or recently vaccinated with modified live parvo virus and other vaccines." Dr. Dodds cites fever, stiffness, sore joints and abdominal tenderness, and eventual collapse among symptoms that may appear 1-3 days or 10-21 days after vaccination. 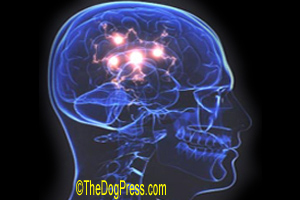 Swallowing such heavy doses of uncomfortable information isn't easy but like bad tasting medicine, it can be good for you, your family, and your dog. I collected data on reproductive problems associated with feline distemper vaccine, i.e. FeLV. "Feline Panleukopenia is caused by feline parvovirus and is commonly known as feline distemper". FeLV was used as a stopgap to early canine parvo vaccine as I reported in The Dog Newspaper back in the 80s. That became the basis for the Call Your Shot series on vaccine disease, so common that today it has the acronym VID (Vaccine Induced Disease). Reader feedback brought out an emerging truth about the vaccine racket. By 2015 many parents were suing school systems over REQUIRED vaccination of elementary school children. Worse yet, the new protocol is that newborn babies are vaccinated before leaving the hospital. There is speculation that the injection can/will include a micro-chip in the near future. Today autism is diagnosed in infants whereas less than a lifetime ago, the word "autism" was not in our vocabulary. Ditto for Alzheimer's and senile dementia. See Neurological Vaccine Damage wherein CDC reports a 300% increase in autism since 2002! In Feb. 2007, Texas governor Rick Perry signed an executive order requiring all little girls entering sixth grade to receive ii Gardasil, a new "cervical cancer vaccine." No wait, that wording is vaccine hype. It was said to prevent a debatably common "sexually transmitted virus that could cause cervical cancer." According to the Adverse Event Reporting System, managed by the FDA and the CDC, 23 million doses of Gardasil were distributed between 2006 and 2008 during which period, 12,424 adverse reaction reports had been filed. Most were not serious but about 6% were very serious reactions, including blood clots and Guillain-Barré syndrome, a disorder that can progress to paralysis. The CDC also recorded 32 Gardasil deaths in that 2 year period. Please, compare that to how many children die from STD (sexually transmitted disease). While there is great concern over the rising rate of STD, there has been no study involving children. What, other than pharmaceutical company profit, could warrant forced submission to Gardasil? My studied conclusion is that pharmaceutical companies prey on children and pets as the most vulnerable because they are the most loved by gullible parents and owners who would do anything to "protect" them. Print Rabies Vaccine Exemption Form ~ Instant Information ii Anaphylaxis or Anaphylactic Shock can be deadly and the incident rate is rising. 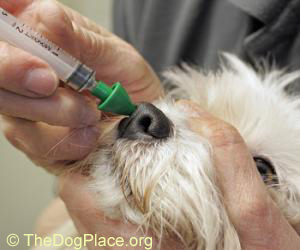 Don't destroy your puppy's immune system with Vaccine Induced Disease.